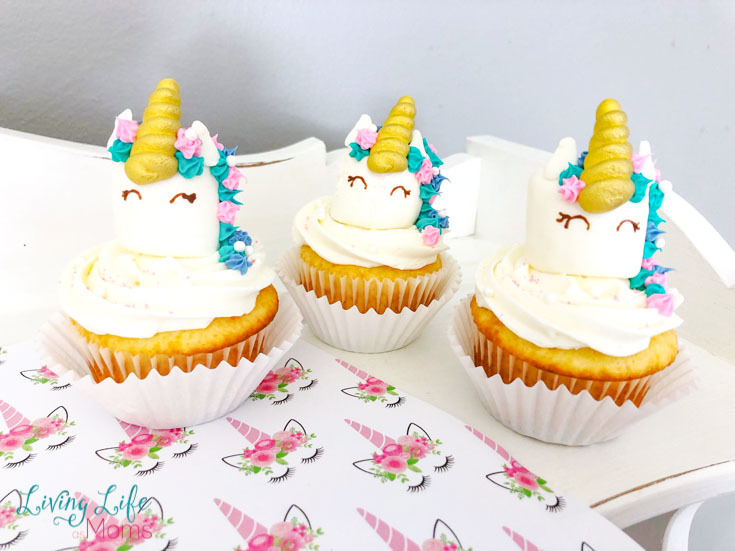 Looking for directions to make adorable unicorn marshmallow cupcakes? You’ve come to the right place! One can never have enough unicorn desserts. Ever. 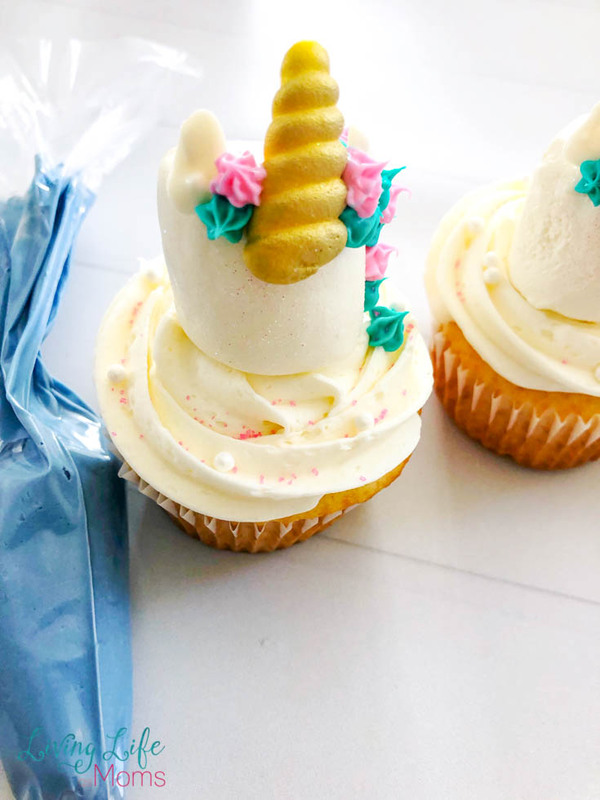 And these unicorn marshmallow cupcakes are ones that you need to add to your rotation. 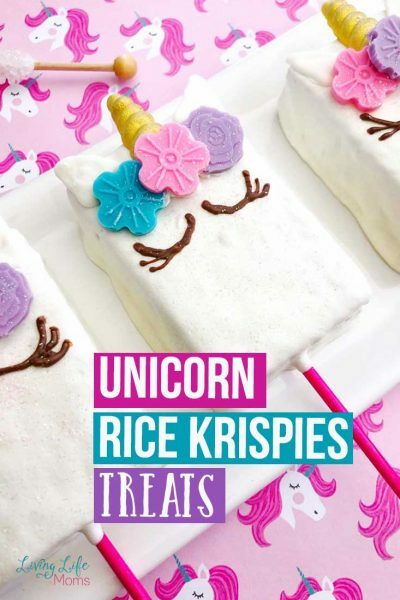 They are great for a fun treat or as an addition to a unicorn birthday. Plus, they are so simple to make and look fantastic! Channel your inner cupcake decorator and have fun getting creative with this fun treats. And if you know someone who would want to join in on the decorating fun, invite them. The more, the merrier! 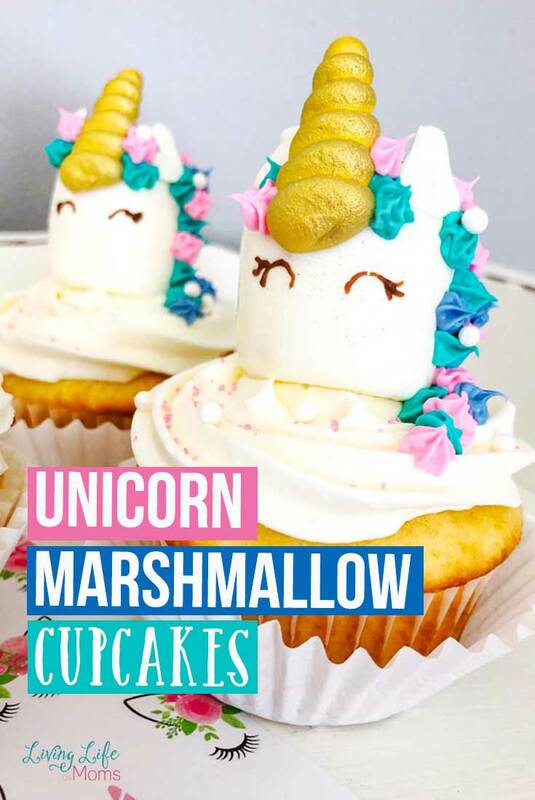 The key to making these unicorn marshmallow cupcakes? Keeping it simple! You can totally do that, right?! Head to the store and grab 6 baked cupcakes. You’ll save so much time! 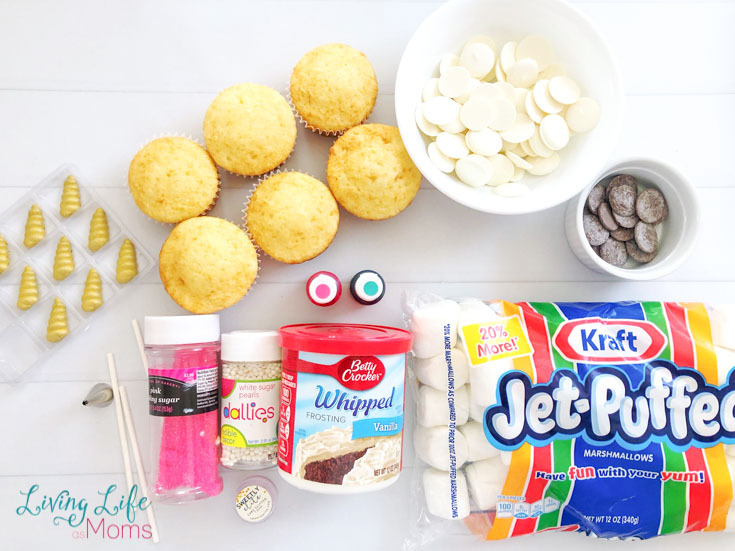 Then all you need to worry about is having the remainder of the ingredients shown below, and you’re ready to start decorating and creating these unicorn cupcakes. Make certain that the chocolate gets melted really, really well so it’s not lumpy. You don’t want your unicorn head to be bumpy, right? Once it’s melted entirely, you can dip in your marshmallow to get it coated with chocolate. Decorating the top of the cupcake with frosting is actually a lot of fun, too. But, it takes a bit of practice on your part to get it looking perfect. 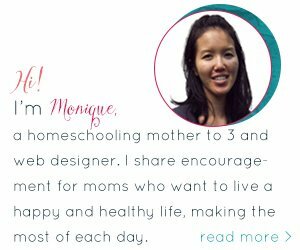 One simple tip to making it easier is to start from the outside of the cupcake and work your way in. It will stack nicely and give it a cool whirled effect. Making the ears for the cupcakes is really simple! Just make your triangles and let them dry. Then, once they’re dry, you can add them to the cupcakes. The key to making them is to just have a little squeeze of the chocolate from the bag! Too much and they’ll be too big, too little and they’ll be hard to get them off the paper. See how it’s all starting to come together? The horns need to be added next and the flowers can be dolloped on as well. Again, have fun and remember that anything you’re adding and creating is a beautiful addition to these cupcakes. Have fun and get creative with the decorating! Who says that every single cupcake has to look uniform? 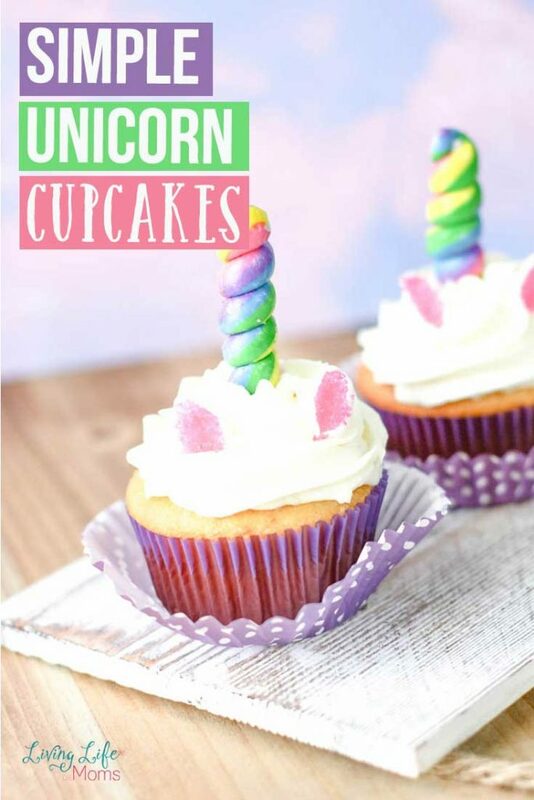 With the magic of unicorns, it only makes sense that every cupcake is beautiful and different! 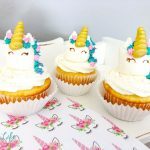 Don’t wait any longer to make these adorable unicorn cupcakes! 1. 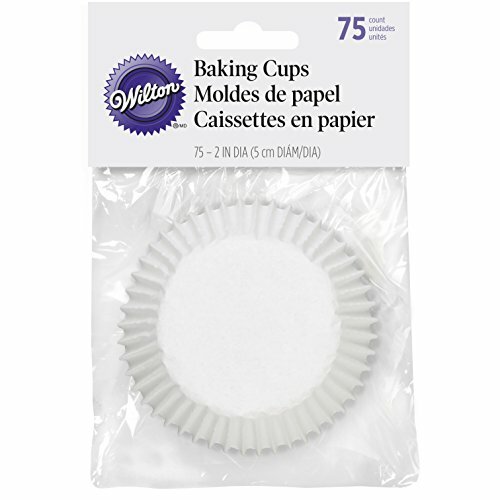 Preheat your oven to 350 degrees and line two cupcake pans with cupcake liners. 2. Prepare your cake mix by mixing together the cake mix, oil, eggs, and water as directed on the box. 3. Scoop out the batter into your cupcake liners, filling each cup 1/2 way full. 4. Bake for 15 minutes and let cool. 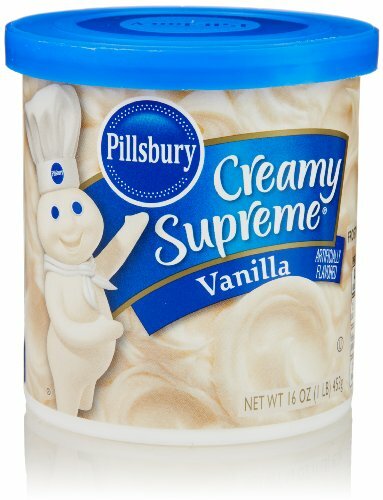 Scoop a can of white frosting into a decorating bag with a large star tip at the bottom. Frost each cupcake from the center working your way out. 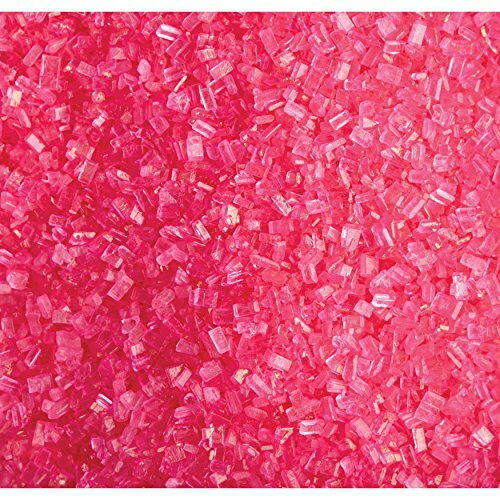 Heat 2 cups of white candy melts in the microwave for 3-4 minutes, stirring every 30 seconds until melted. 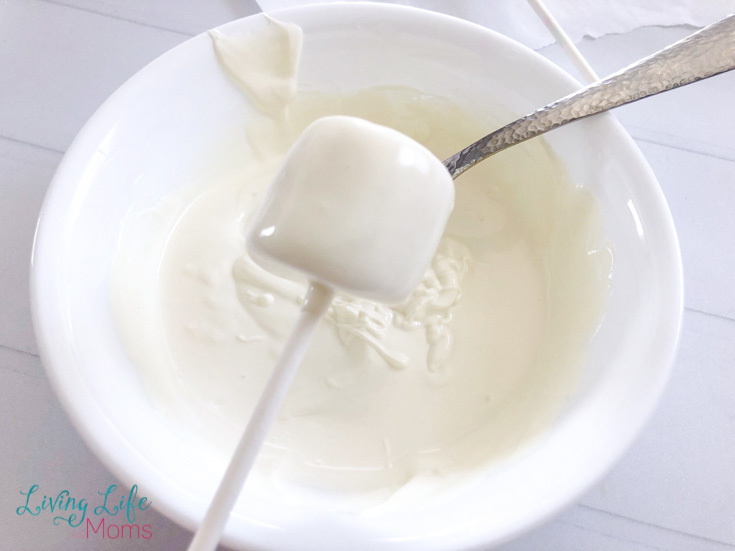 Place the marshmallow on lollipop sticks, dip into the melted chocolate, shake off any excess chocolate and set onto a piece of parchment paper to harden and sprinkle with edible glitter. 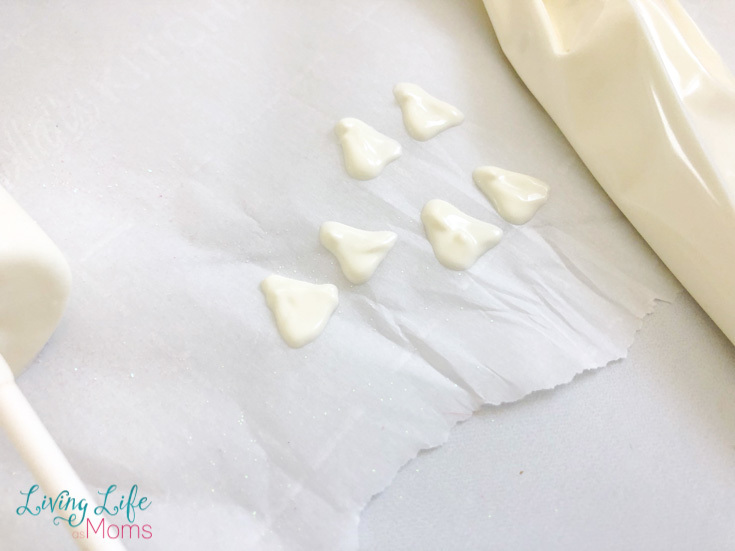 Place the remaining chocolate into a decorating bag, cut a tiny tip off the end and draw small white ears on a piece of parchment paper to harden. Once the marshmallows and ears have hardened, stick a marshmallow on each frosted cupcake and stick the ears and horn onto the top of a marshmallow using a little melted chocolate. Mix 1/2 cup of frosting with pink food coloring, 1/2 cup with blue food coloring and mix 1/2 cup with a little blue and pink to make purple. 13. Place a small star tip in the bottom of 3 decorating bags (you can do one at a time if you only have a one-star tip. 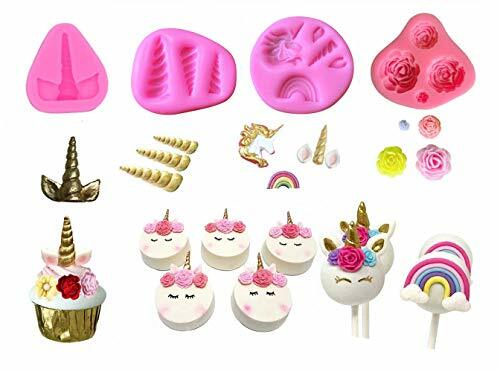 Frost flowers onto the unicorns head and going down the right side with each color frosting. 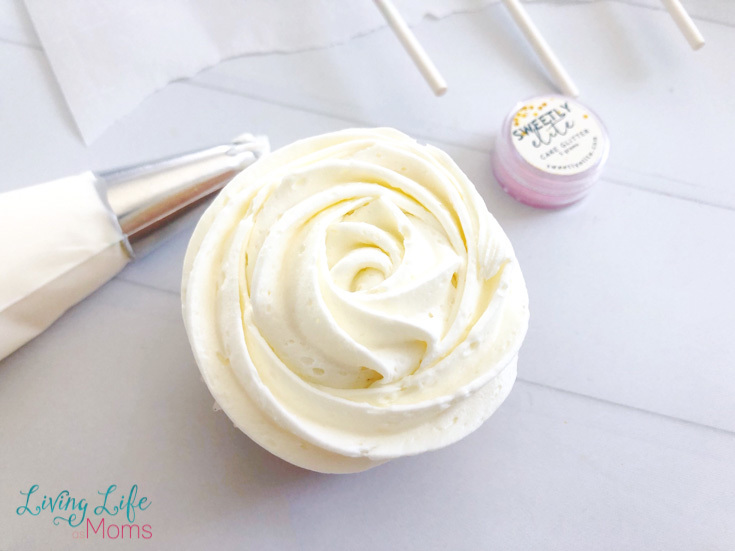 Sprinkle the cupcakes with pink sprinkles and place a few white pearl sprinkles along the hair and white frosting. 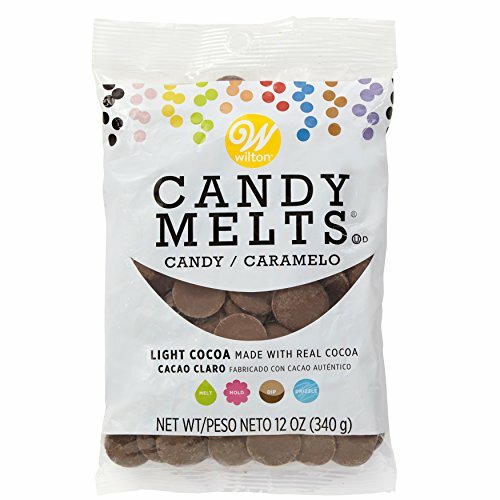 Heat the light cocoa candy melts on 50% power for 2-3 minutes, stirring every 30 seconds until melted and scoop into a decorating bag. 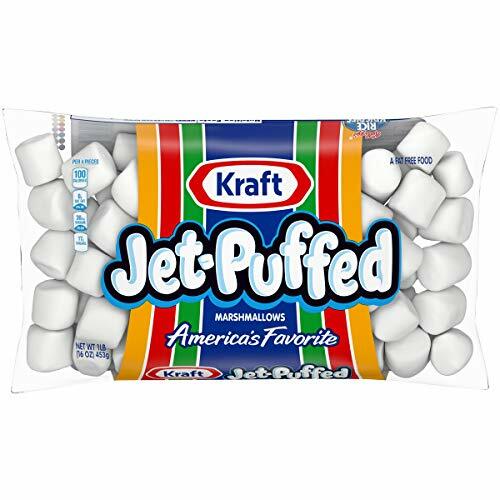 Use the bag to draw eyelids on the front of the marshmallow.